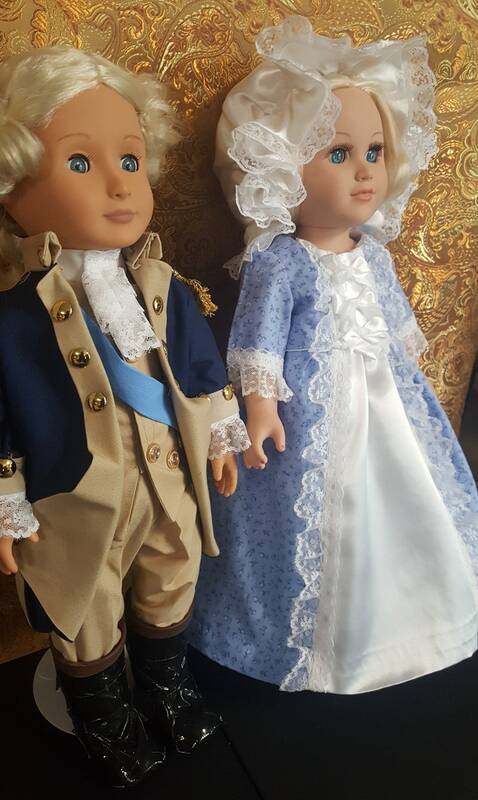 What a wonderful way for children and adults to learn and commemorate our fun, dress-up dolls in the form of the very first President (and his wife) of the United States of America - George and Martha Washington! 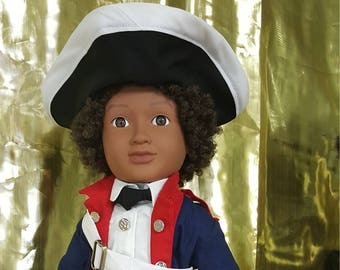 George Washington (February 22, 1732) – December 14, 1799) was the first President of the United States, a soldier, farmer, land investor, and statesman. Since the late 1780s, Washington has been known as the "Father of His Country" by compatriots. 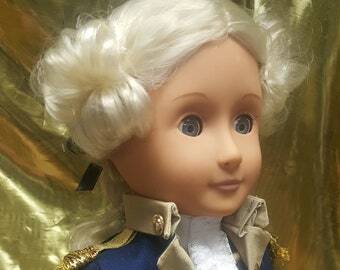 He was commander-in-chief of the Continental Army during the American Revolutionary War and presided over the 1787 Constitutional Convention. As a leading Patriot, Washington was among the nation's Founding Fathers. 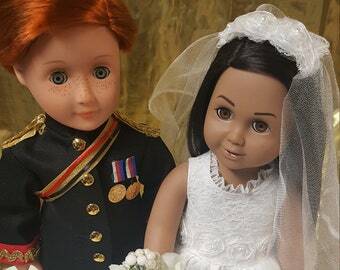 His wife, Martha Washington (1731 – May 22, 1802) was the wife of George Washington, the first President of the United States. Although the title was not coined until after her death, Martha Washington served as the first First Lady of the United States. 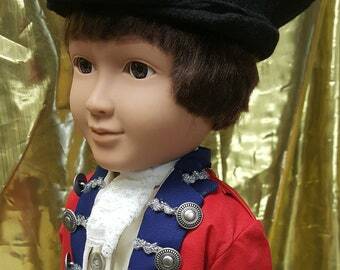 During her lifetime she was often referred to as "Lady Washington"
This patriotic 9-piece Doll Pair includes; two 18" dolls and their beautiful hand-sewn colonial period clothes and shoes, as shown in the photo above!